I had been wanting to try beach Pilates ever since I won a $50 gift certificate to the Beach Pilates & Wellness Studio at a silent auction during a fundraiser earlier this year. I realized that the end of the summer is soon approaching, along with the end of the sessions. I altered my work schedule with a colleague so I could have off work on Friday and head out to Bethany Beach early for the 8 a.m. Friday class. 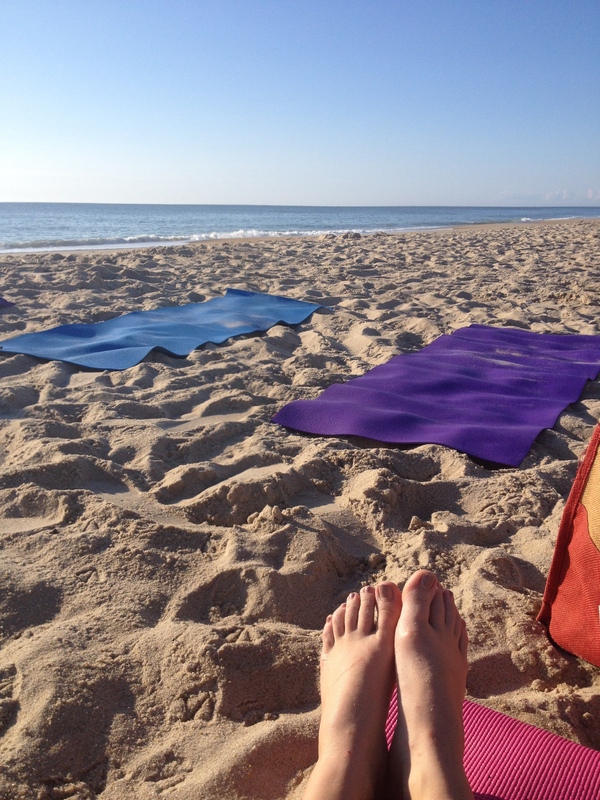 I’ve never done a workout class on the beach — I have run on the beach, but even that I don’t do often. I’ve also never taken a Pilates class. It was fun to try something new, and the exercises worked different parts of my body than what I feel I’m used to. I also need to work on my core, because I primarily just run for exercise. On my long run today — Saturday — I definitely felt worn down (I’ll write about that run in my next post). I thought doing a workout while listening to the waves and being outside was a great way to start the day. Even as a first-timer, I thought the class was pretty easy to follow — I didn’t feel lost. There were about 15 people in the class I took, which was held on the beach right off the main shopping and dining area, Garfield Parkway. The beach Pilates class season ends soon, but classes are $15 and more information is available at the Beach Pilates & Wellness Studio website linked above. I then went on a four-mile run. 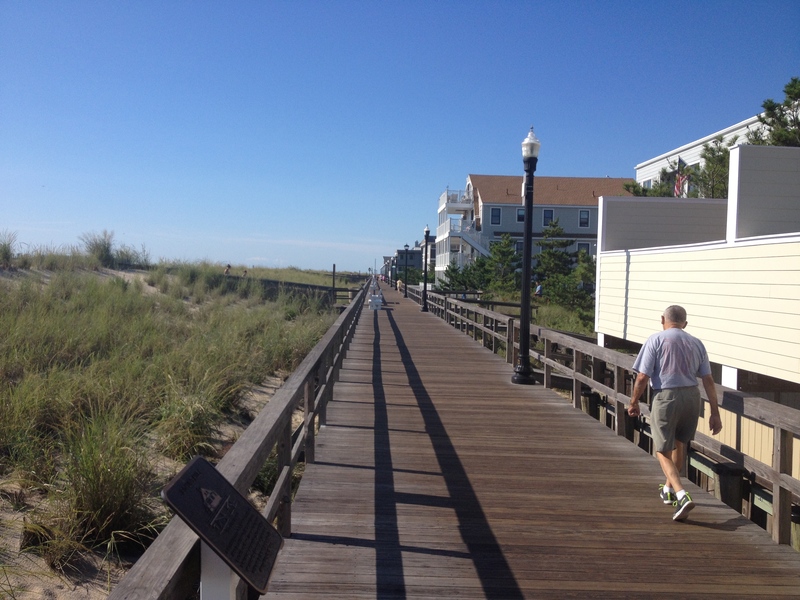 Bethany Beach’s boardwalk isn’t long, and the main shopping drag isn’t too long, either, so I just ran in the general and surrounding area, but I didn’t cross Route 1. 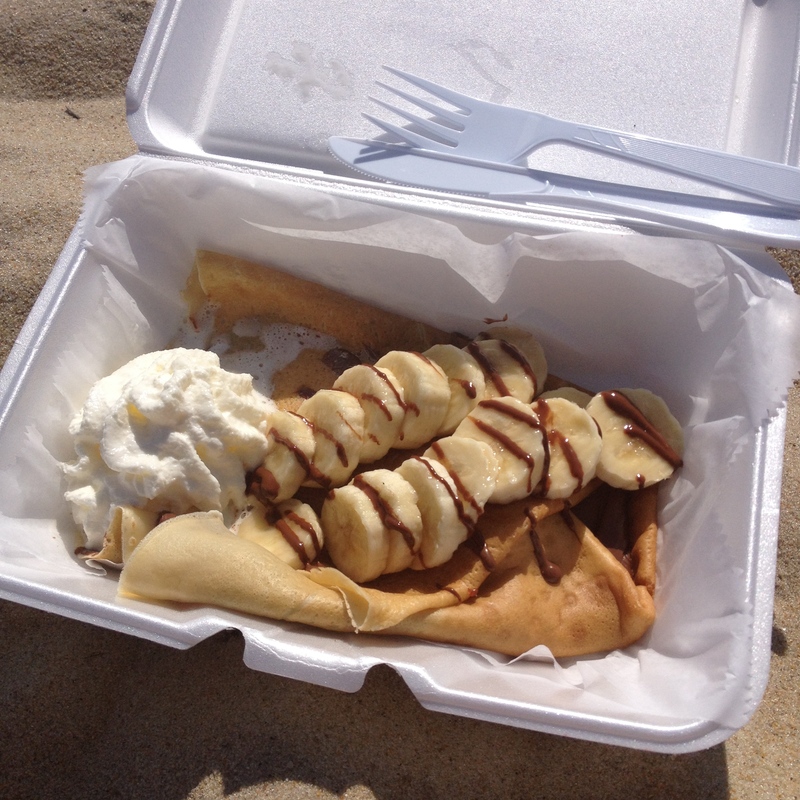 I have been to Bethany Beach many times, but while running I saw a place I hadn’t seen before — Sunshine Crepes. After the run, I decided to check it out. Crepes are something I rarely eat and I was happy with the banana and Nutella one that I picked. I enjoyed lying on the beach before heading back for some other things I had to get done on my day off.